Casual Script is a classic, yet casual, embroidery font perfect for many projects including Christmas stockings. It's a unisex font and works for both girls and boys of all ages. Featuring bold letters that really stand out on t-shirts and projects. Upper case letters A thru Z and lower case letters a thru z, as shown. Casual Script is a classic, yet casual, embroidery font perfect for many projects including Christmas stockings. It's a unisex font and works for both girls and boys of all ages. Featuring bold letters that really stand out on t-shirts and projects. 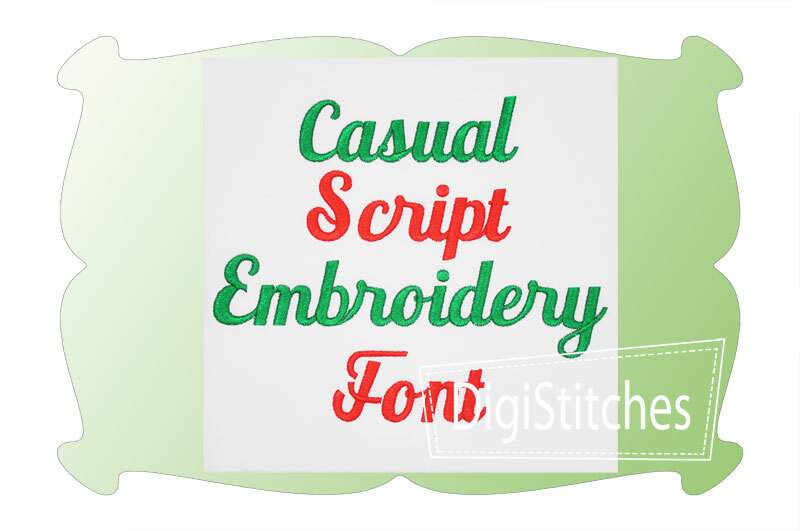 Casual Script Embroidery Font comes in 5 sizes: .75, 1.00, 1.25, 1.50 and 2.00 inches. Size refers to the average height of the letters in the set.